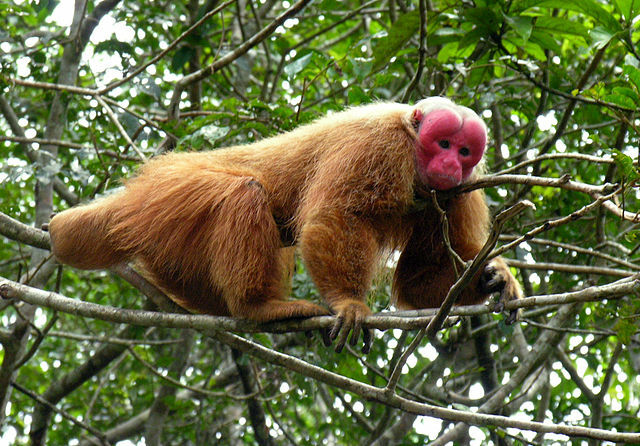 The Uakari (pronounced “wakari”) Monkey is of the genus Cacajaohe. They live in the Amazon Basin, in the swampy forests of Brazil, Peru and Columbia, and prefer the areas along small rivers, lakes and swamps rather than the forests that fringe the larger rivers. 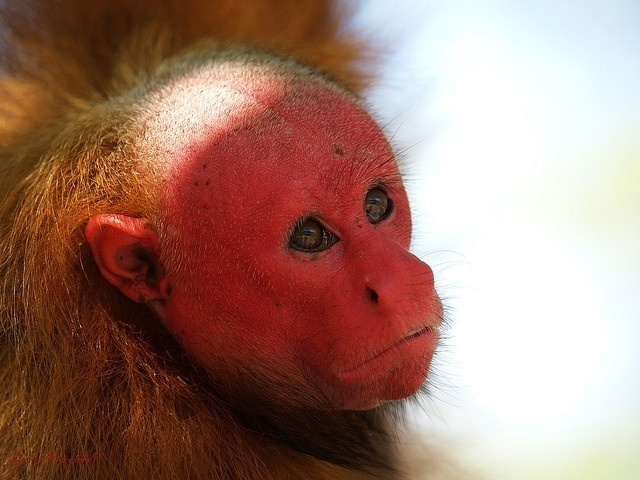 The most striking characteristic of the strange-looking Uakari Monkey is their bright red bald, flat face. The red color of their face is a sign of good health. A pale Uakari is a sign of a sick animal. Uakari monkeys have long, shaggy fur which is either white or red depending on the subspecies. 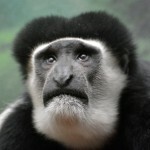 They are the only short, bushy-tailed South American monkey. They do not use their tails to hang from the trees or to help when jumping, but they do use them for balance. Their hands and feet are strong and agile with their opposable thumbs allowing the Uakari to hold onto fruits and tree branches. Like many primates, the Uakari are known to walk on all four limbs while on the forest floor. Their body length is between 15 – 22.5 inches (38 – 57 cm). 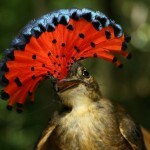 Their tail length is between 5.5 – 7.5 inches (14 – 18.5 cm). Uakari Monkeys weigh between 6.5 – 7.75 lbs (3- 3.5 Kg). Uakari Monkeys live in a large troop of males and females, which may number up to 100 individuals, although these larger troops are themselves composed of smaller, mixed groups that consists of between 5 and 30 members. By day they forage around for food and at night they sleep high up in the trees for safety. They are agile and active, capable of leaps of over 20 feet (6 meters). 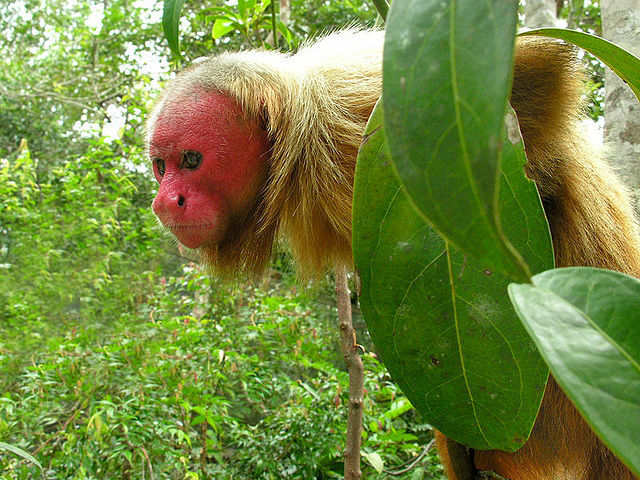 The uakari diet consists mainly of fruit, seeds, flowers, insects and small animals like lizards. Most food is gathered in the trees, though during dry periods when food is scarce, uakaris will go to the ground to look for fallen seeds or roots. Uakari breeding season is from October to May. 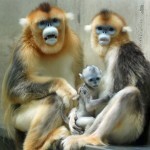 Females give birth to one single offspring infant every two years, usually between December and March. 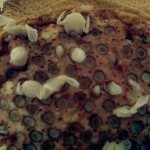 The Their gestation period is unknown. 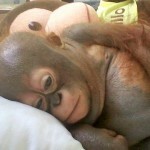 The infants are very small and vulnerable at birth. They are carried on their mother’s front for the first few months, and feed only on her milk. They are weaned at an average age of four months old, at which point they are transferred to the mother’s back to be carried through the treetops, when they begin to forage with the troop for soft fruits and seed pods. Reproductive ages are three years for females, and six years for males. Uakari monkeys, therefore, are not prolific and populations do grow very fast. The average lifespan of the Uakari monkey in the wild is 15 to 20 years. Predators of the Uakari monkeys are birds of prey, tree-dwelling snakes, larger monkeys, and humans. Sadly, Uakari monkeys are on the verge of extinction. They are hunted for food and captured to be kept as pets or for selling by the native people. They are also threatened by expansion of already growing human settlements, and by the destruction of their rainforest habitat environment due to high levels of logging for timber in ever-increasing expanses of Amazon forest. Enormous stretches of the Amazon are still cut down on a daily basis, meaning that many of the native species (and people) lose their homes. What did you enjoy the most from “U is for Uakari Monkey Facts”? 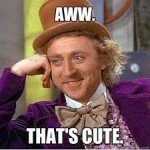 My whole household loves monkeys. Especially those in Japan that bath in natural warm baths.